A Burke Museum archaeologist is raising the alarm over the Smithsonian's science. Their mistake? No peer review. National Park Service - Kennewick Man's bones. The discovery of Kennewick Man, the name given to the 9,200 year-old skeleton unearthed in southern Washington nearly a decade ago, has unearthed plenty of questions among anthropologists and tribal members about what Kennewick Man's life might have been like. To Burke Museum anthropological archaeologist Peter Lape though, the biggest question at hand is whether peer review, a time-honored scientific practice, is being ignored by leading forensic anthropologist Douglas Owsley, whose team has been the only one allowed to study Kennewick Man's bones since they were discovered in the mid-90s. Lape, the curator of archaeology at the Burke Museum and an associate professor of archaeology at the University of Washington, is unhappy with this scenario. He believes that many facets of Owsley's team's conclusions — such as the isotope results to speculate on Kennewick Man's diet and the potential elasticity of a human skull — stem from tricky aspects of forensic anthropology and he's bothered by the fact that no one outside of Owsley's team has had a chance to scrutinize the Smithonsian's data to see how the team reached its conclusions. "Any of this is open to discussion," he said. 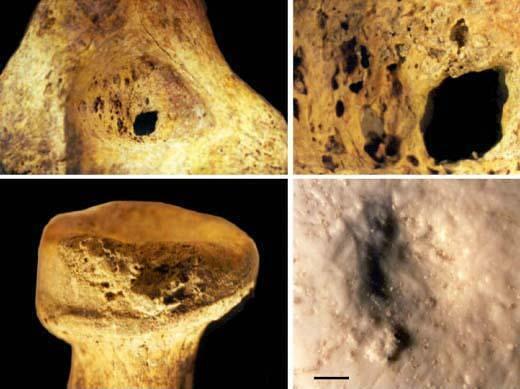 "Bones are not open books, especially not 9,000-year-old bones." Many of the findings in question were made public in early October, when Owsley, a leading forensic anthropologist with the Smithsonian Institute, briefed Mid-Columbia tribes and the public in central Washington about the results of six years spent studying the 9,200-year-old Kennewick Man. Owsley is editing a book of the detailed scientific results of the Kennewick Man studies, written by several scientists, that is due out in 14 months. 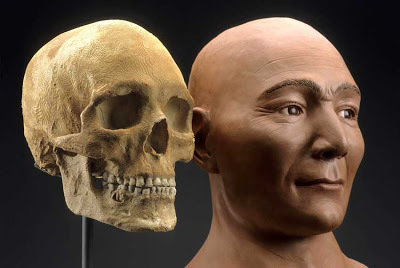 Owsley and science writer Susan Walker also wrote a recently published book for laymen on the subject:Their Skeletons Speak, Kennewick Man and the Paleoamerican World. What bothers Lape though is the absence of peer-reviewed articles published prior to Owsley unveiling the bones' secrets. Standard procedure in the academic world is for scientists to submit articles to scholarly journals, have other experts review the articles prior to publication, and then have experts debate results after publication. While Owsley has consulted extensively with his group of experts, he has yet to publish a scholarly article on Kennewick Man. "He's never published any scientific results of his studies. There's no place for anyone to look at the actual data. ... You have to have a higher amount of scrutiny in the scientific process," Lape said. Attempts to reach Owsley for comment on Lape's criticisms were unsuccessful. Kennewick Man's skeleton was discovered in 1996 along Kennewick's Columbia River shoreline. The skeleton — incredibly intact for being 9,200 years old — sparked a legal duel between five Mid-Columbia tribal nations and a group of anthropologists led by the Owsley and the Smithsonian Institute. The tribes argued that the skeleton is one of their ancestors and should be reburied in accordance with the Native American Graves Protection and Repatriation Act (NAGPRA). The anthropologists, for their part, wanted to study the bones, and argued that there is no evidence of a direct relationship between the skeleton and today's tribes. Part of the dispute's background has been a practice of anthropologists digging up Indian remains and storing them in museums, often unstudied and violating Native American spiritual beliefs.The Smithsonian was a repository of unstudied Indian skeletons until Congress enacted NAGPRA in 1990 to begin repatriation of remains. In 2002, the anthropologists won the right to study Kennewick Man in federal court. Meanwhile, both sides agreed to store the skeleton at the neutral Burke Museum at the University of Washington, where it is today. The anthropologists physically examined Kennewick Man for two--a-half weeks -- split ins two segments in 2005 and 2006. For six years, Owsley coordinated more than a dozen experts, who analyzed the bones in numerous ways. The unusually long duration of the study, Owsley said earlier this month, was due to other multiple commitments scientists were juggling multiple at the time. The team concluded that Kennewick Man came from the West Coast, based on naturally-occurring isotopes in his bones that pointed toward a diet of marine animals such as seals. In an October 10th announcement, Owsley described Kennewick Man as a wandering hunter, 5-foot 7 or 8 inches, theoretically 161 pounds, with a major league baseball-caliber right spear-throwing arm and a Polynesian-like face with good teeth. The team concluded that he was younger at his death than originally estimated — likely 39 or 40, rather than 50. A stone projectile point — a spear head — was found in his right hip. But the spear head was not examined in 2005 and 2006 because the appropriate experts could not show up at the Burke Museum during the narrow examination window. Owsley is seeking permission from the U.S. Army Corps of Engineers — the skeleton's legal guardian — to go back to the Burke Museum to examine the projectile point. Kennewick Man also has some healed fractured ribs, indicating he had been banged up badly sometime before his death. Though he was purposefully buried along the Columbia River, scientists have not yet figured out how he died.